Darcy didn’t believe in miracles. Never carried a rabbit’s foot. Stepped on cracks all the time. 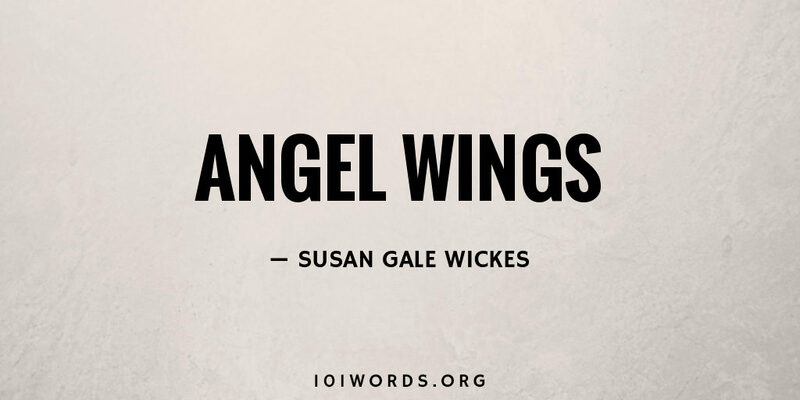 Then one dark December day, a pair of angel wings mysteriously appeared on her doorstep. “Must be somebody’s idea of a joke,” she mumbled, taking them inside. At 1:32, she awoke to the strains of a harp, somewhere off in the distance. Intently, she listened. At 3:28, a bright beam of light flooded her bedroom. She lay motionless, mesmerized by its beauty. And then, promptly at 4:37, she took flight. Well written and a good follow through with your idea. Thanks for a great story. Is Darcy dead? Or just taking a brief holiday? She has died and gone to heaven. Ha! Ha! Delightful. I enjoyed this very much. Lovely! I particularly like “promptly at 4:37,” and the last line is perfect.